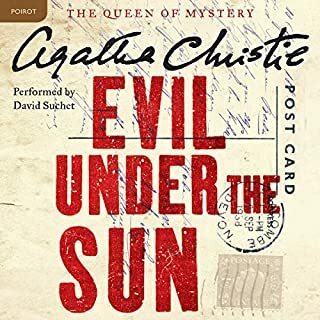 Would you listen to Evil Under the Sun again? Why? I have already listened to this book twice. There is such beautiful details that it is always intriguing. Hercule Poroit is my favorite character that Agatha Christie writes about. David Suchet does the voices of every character so wonderfully that you forget it is just him reading. As usual Agatha's twists keep you going until the end. Hercule Poroit never tells you everything and his character is so quirky and enjoyable. The characters are so rich and developed that you feel like you really know the people she writes about. What about David Suchet’s performance did you like? Fantastic voices and brings every character to life. Such a joy to listen to him perform. 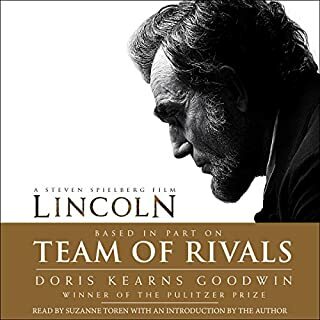 Would you listen to Team of Rivals again? Why? I could listen to this book over and over and never tire of the subject. It so very well written,researched, and read. Absolutely a stunning look into the time of Lincoln. I will never look at President Lincoln the same way again. This story is so important to being an American. The film was already made of only a part of the book. Another movie could easily be made about Lincoln's journey to becoming President. This movie would not need a tag line. Lincoln's name is strong enough to attract an audience. Excellent on so many levels! I love history and I love a good mystery. Although this is fiction the author researched her subject well to make it up to par with Sit Arthur Conan Doyle's original mysteries. It is absolutely an amazing listen. The interactions between Dr. Watson and Sherlock Holmes is classic and creates a foundation for a wonderful mystery full of character. 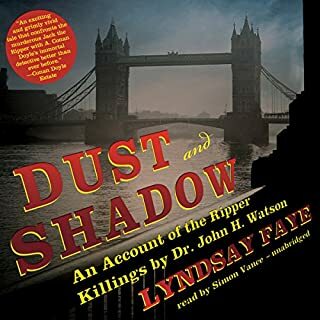 The author also researched The Ripper very well and the way she incorporates the history with Sherlock Holmes is brilliant. What other book might you compare Dust and Shadow to and why? I would compare this book to Agatha Christie's Hercule Poroit mysteries.the character interaction and rich details make these mysteries very enjoyable. There is more character detail in this mystery than the original Sherlock Holmes mysteries. This book does justice to the Sherlock Holmes name. Absolutely. I only wish I had all the time in the world to listen to it all at once. I will definitely revisit this book again because the story is so rich with details. Would you listen to A History of the World in 6 Glasses again? Why? Absolutely highly amusing and interesting. 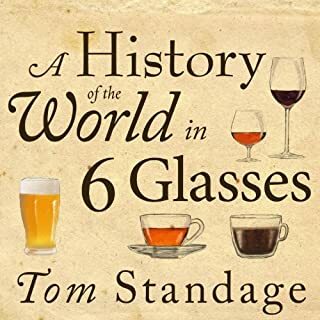 What other book might you compare A History of the World in 6 Glasses to and why? I would compare this to Guns Germs and Steel because both look at the bigger picture of history. This book focuses on drinks and their origins. Both take a unique perspective on history and teach in an interesting way. Although the History of the World in 6 glasses was a little more fun and much shorter. A must read! Very good voice to listen to. So interesting the history of Coca cola and Pepsi. The politics about where they could sell their product in the world was interesting. Especially since Coca Cola was the drink of World War I. 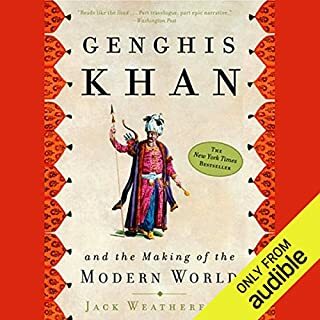 What made the experience of listening to Genghis Khan and the Making of the Modern World the most enjoyable? It was very interesting to hear more about Genghis Khan's childhood and youth. The customs of the Steppe people was well covered. The author takes a positive stance on Genghis Khan's war campaign. Interesting perspective. Overall a good listen. I have read a lot about Genghis Khan and this book covered a lot of the material I had to find in several books. 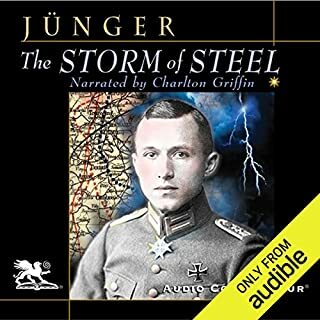 If you could sum up The Storm of Steel in three words, what would they be? What was one of the most memorable moments of The Storm of Steel? They broke up chapters of the book with the sounds of artillery and machine gun fire. This made you feel like you were in the trenches. The language was clever and insightful. You felt more respect for those men with every word. Honorable account of the trenches. 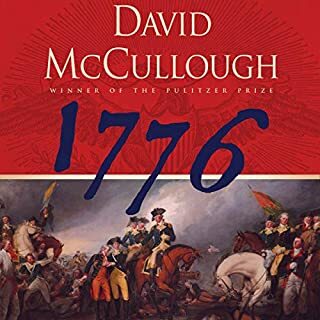 Where does 1776 rank among all the audiobooks you’ve listened to so far? This audiobook is by far my favorite. I have already listened to it several times over. George Washington. It was fascinating to be able to learn more about him through his own letters with many of those who first shaped this country. Also got a unique perspective on what it was like for the loyalists. This is not what I learned in American History courses I have taken in the past. It is a very well rounded well researched book that takes into account many different sides to the story. Absolutely my favorite!! It is too good to pick a particular part in this book that is the best. I like to listen for half an hour intervals. I am a stop and go listener. This book was so easy to listen to in bits and pieces at a time. Every word was interesting. I never felt like the story was being interrupted. This book made me appreciate American history much more than before. The narrator is the author and he does a fantastic job bringing the story to life. I am extremely picky when it comes to the narrator. It is amazing that he can do both writing and narrating so very well. He has a great voice for storytelling and his attention to detail only inspires you.